→From Broke To 6 Figures In One Year – Here Is How I Did It! From broke to 6 figures in 1 year, an incredible story! 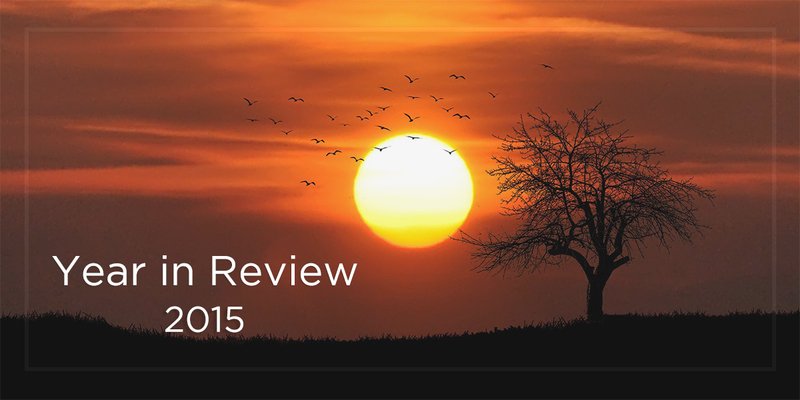 Bloggers and online entrepreneurs are publishing year in review 2015. They are setting New Year resolutions, talking about mistakes they did last year and the plans how they will overcome them this year. As a budding entrepreneur, I am pumped up reading them and thought I should write one as well! I’m one of the guys believes in resolution. I re-started my niche site journey exactly one year ago setting up some goal, and worked hard reaching them. With the turn of the New Year, I figured it would be a good time to give you some insight into my achievements last year, and my future plans for my online business for 2016 and beyond. 2 Flashback – How Was I Broke? 2.1 The Time when Awards Came By! 4 2015 – Marketever born! 6 Putting My Voice Out There! 8 Over 6 Figures In A Year! 12 A Personal Achievement – Just Graduated! 13 It wasn’t ALL SUCCESS in the Past Year! For me, I really passed an amazing year! I was almost broke this time a year ago. Yeah, you heard it, I was broke! I had no savings, but there was a huge debt that needed to be paid. What I had, was the courage to start something, and strong believe in myself. Fortunately, I managed to turn the game around. I started a new journey with Amazon niche site at the beginning of 2015, and ended up making over six figures last year! 80% of the income came from Amazon niche sites, rest are from consultancy and SEO business! So, overall yes, 2015 was a magical year! Flashback – How Was I Broke? I was working for a national daily in Bangladesh, as a Technology Reporter. I met a lot of online entrepreneurs, freelancers and affiliate marketers as part of my job. One of my responsibilities was to interview them on a regular basis. I, myself was involved in online work a bit (I hardly was regular), and I had the plan to move from journalism to online business someday. Opportunity arrived in March 2012. I met a couple of talented marketers and developers during the time, and later 5 of us ventured into an internet marketing company, DevsTeam Limited, headquartered in Dhaka, Bangladesh. Out of the 5, I took the leadership responsibility as a CEO. This was my first real business; my real journey of entrepreneurship began! I was shaky and wobbled at first. But at the same time, I was so much passionate and used to spend more than 12 hours a day for the company. The Time when Awards Came By! Everything was going smooth, DevsTeam Limited was doing really well. We won “Freelancer.com SEO Award” defeating thousands of companies around the world. Recognition was just round the corner. Our company achieved several national awards. Got dozens of clients, local media accreditations and praise from IT leaders of our country within a very short time. I, myself got awarded by Prime Minister of Bangladesh, it was all because the company we established together was doing well. But after a successful year, some things started to change. My fellow colleagues and I began having some creative differences. Things started going the wrong way day by day. Misunderstanding at its’ best. I couldn’t focus on the company anymore, and at a particular time in mid-2014, I had no other option but to leave the company. I left DevsTeam Limited feeling beat down. It is always tough to leave your first initiative, your brainchild, your first business. But I had no other option. I built 2 Amazon niche site a couple of months earlier (inspired by NichePursuits public niche site project) leaving DevsTeam. These 2 websites were making a smart amount. This was my only major financial backup when I left DevsTeam. Unfortunately, just after leaving DevsTeam for a month or two in October 2014, both of my niche sites got hit by Google penguin. The search engine giant stopped sending me traffic. I was left with next to nothing to rely on! It’s been a long time yet, I can still picture all the ugly details and the way of my struggle. Empty bank account, the embarrassing moments, and the feeling of despair. No work. No money. No future plan. Nothing! It was a long, ugly journey… from the highest of highs to the ultimate low-point in my career. They say; when you are out of ideas, travel a lot. After passing a couple of months traveling, I decided to start a new venture. I had a domain registered, Marketever.com (initial plan was to start a local digital marketing agency), and was thinking of starting a niche site portfolio company with the same name. I needed some money to start a couple of niche sites. So, took a couple hundred dollars as an investment (for a particular niche site project) from one of my friends. I took a long time thinking about our business plan, but I couldn’t fix what we were actually supposed to do. Building niche sites? Providing SEO services? Any other online business? Nothing was fixed or planned. However, after a couple weeks, I started to focus on 3 Amazon niche sites. Fortunately, 2 of them started making money within 3 months. I needed more money as niche site investment, so started taking some SEO clients, and investing the profit into new niche sites. I did this for next 6 months, taking clients, providing them service and building more niche sites with profit. My Amazon niche sites started paying themselves after 6 to 7 months. So I stopped taking SEO clientele and focused my effort building more niche sites. Needless to say, I was overjoyed! I found a simple process that I could replicate over and over. I rinsed and repeated the process. My niche sites started to make a good amount per month, I had learned a lot over the time from my experience. So I decided to share them all. 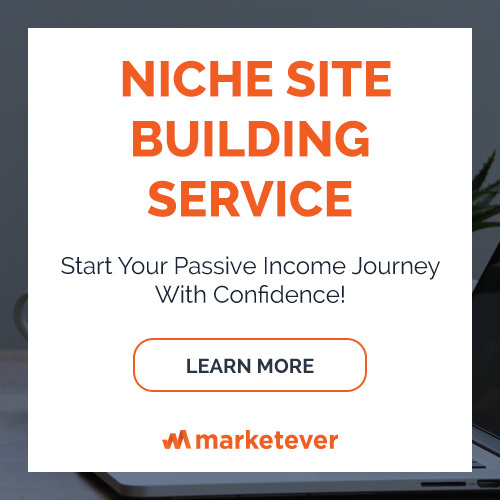 In June 2015, I started writing at Marketever.com about Amazon niche site building. That was just the beginning of the new beginning! Marketever as a niche site portfolio company; just turned 2. Photo from 1st birthday! I’m helping a community of Amazon affiliate marketers in our country with a Facebook group from the beginning of Marketever blog. I received a huge response from local entrepreneurs and online professionals. 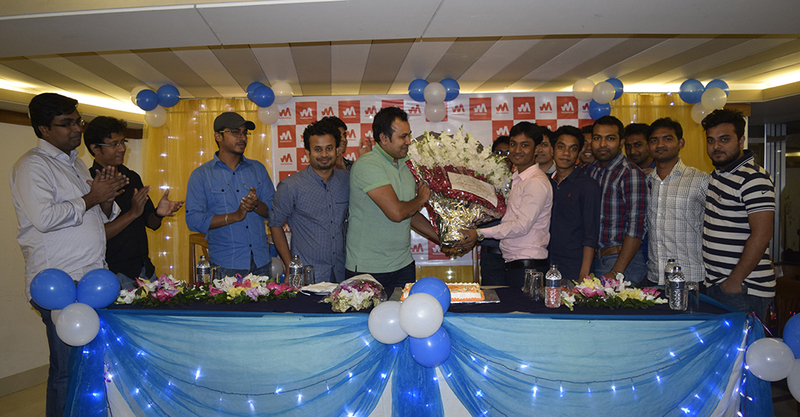 After getting the overwhelming response and demand, I launched an Amazon affiliate marketing video course in Bangladesh, named ‘Azon Rockstar’ to help fellow marketers to build their niche site and start making money from Amazon affiliate program. I aim to teach them the simple thing I know, a simple easy-to-do process that brings results. The response to my training program is again, Overwhelming! The video course has over 200 participants now, and growing every week. Putting My Voice Out There! 2015 was the year of “Public Talks and Appearances” for me. I spoke to a couple of conferences, and events last year. 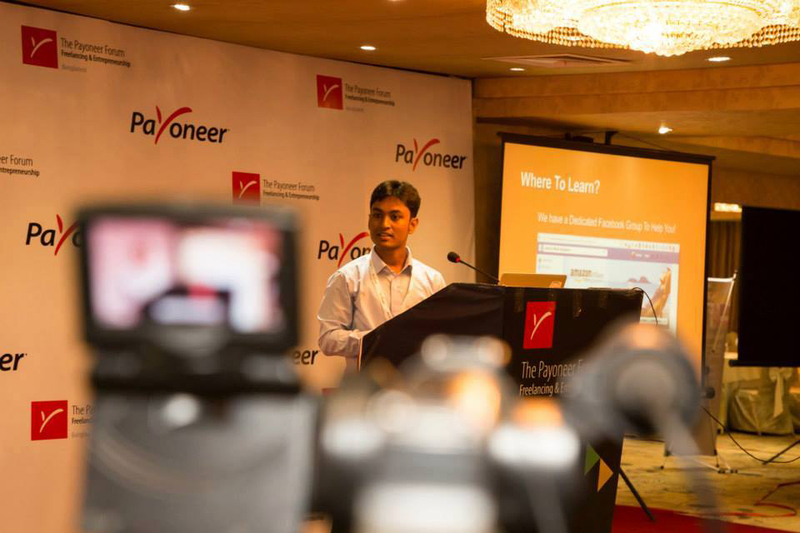 I spoke at Payoneer Forum, Dhaka about Starting Passive Income journey. 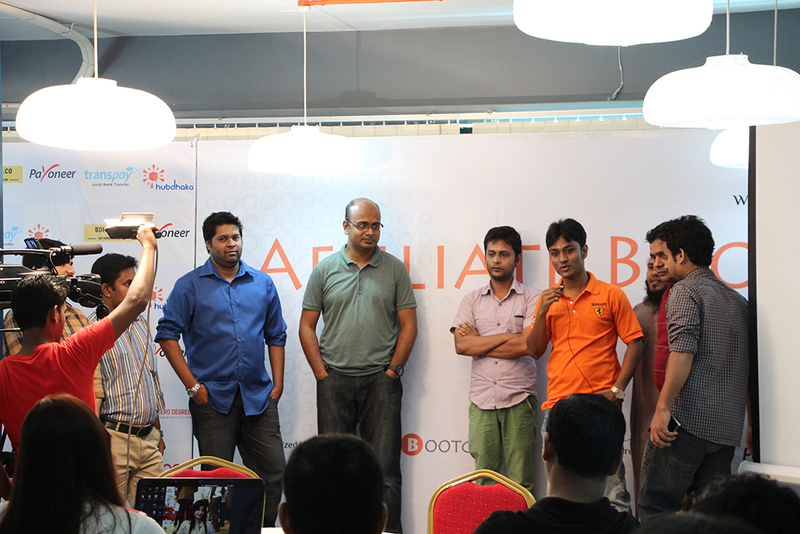 Organized 2 local meetups with Amazon affiliates here in Dhaka, where I spoke about my learning and experience. Group photo after our first meetup! 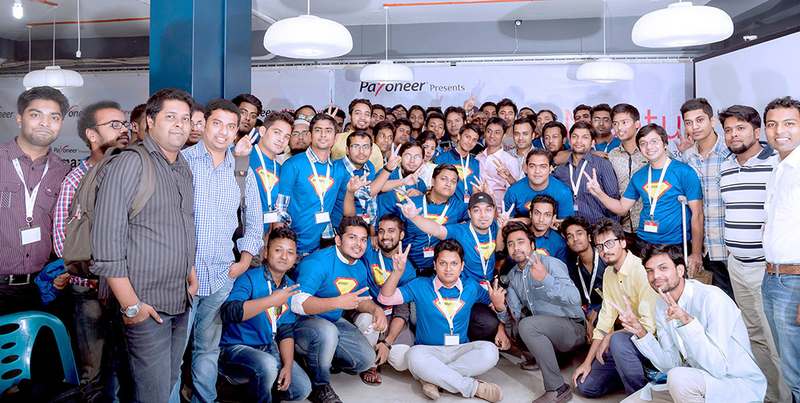 I was in a session as a guest in ‘Freelancer Meetup’ organized by Daffodil Group, and Belancer, a local freelance marketplace of the country. I talked about ‘Building Empire’ in a local meetup organized by Teespring. Co-incident? I’m on all of my events wearing the same shirt? My goodness! 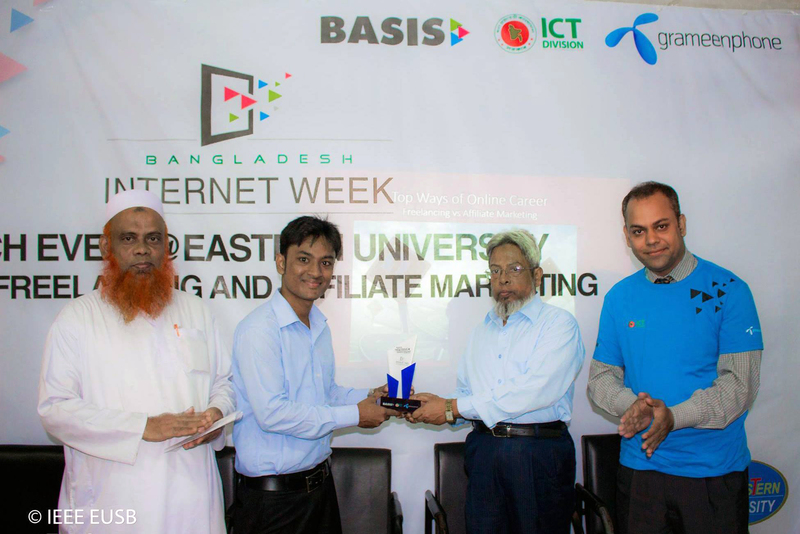 BASIS and Bangladesh Government organized Digital World – 2015 in Dhaka, where I conducted a session about affiliate marketing. 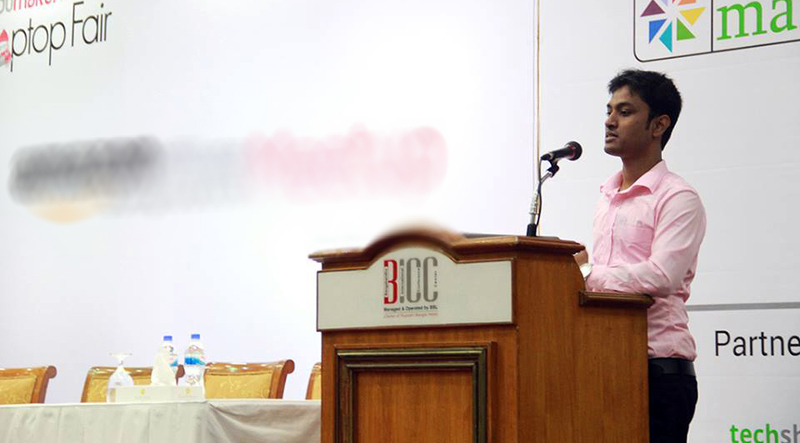 Also had a couple of mid and small events where I appeared as a guest speaker. Had a session for Eastern University students. Photo after my session. All of these were possible due to my initial failure, a failure that taught me the highs and lows of life. I sold one of my niche sites in November for over $50K. You can read the details here how I sold the site, this post includes my site listing link. The site was making around $2500 per month. I have another couple sites that making 4 figure per months now, and they are growing slowly, but steadily. Over 6 Figures In A Year! I made over 6 figure in income last year. Most of the income was generated from Amazon niche site, the $50K+ sold site contributed the most. Also made a smart amount from Amazon affiliate program too. I also made a fine amount from niche site building coaching program. In total, I got a good payout within a year. I live in a least expensive country, where my monthly expense is less than $300. I’m more than happy what I achieved in such a short time. As you can already guess, I built so many niche sites in last 1 year. If you ask me any specific number, I’d say, more than 30. I did some simple maths, If I can make $2500 from a single site (yes, I’m making from one of my successful sites), why shouldn’t I create dozens of niche sites and build a bank? I believed on a lie told by some guru, who said, ‘Niche site is a number game, build as much as you can!’ I believed the lie, tried developing dozens of sites and invested thousands of dollars (from Amazon niche site income of course!). But most of the sites are yet to make a smart amount. I didn’t even know the last status of most of the sites. The Website design was ugly for the most part. Published low-quality contents without even revising them myself. No use of graphics at all, very less value added for visitors. Focus less on content promotion, link building, and other SEO Tactics. I focused only on quantity, rather focusing on quality. As a result, I ended up getting ‘Google Thin Content Penalty’ in a couple of my sites. I also got an ‘Unnatural outbound link penalty’ by Google in a different site, reason? I forgot to ‘nofollow’ the affiliate links. What I have learned is things just don’t work this way. At the end of the year, I revised my whole strategy and redesigned almost all of my sites, edited all the contents, added a lot of visual materials (still doing). I’m now following NoHatDigital’s strategy to get the manual penalty revoked. I already have spent huge time updating the sites, redesigning and adding more Skyscraper contents. I’m pretty confident about this approach to work. * I will update when I recover my site. Since started, I published only around 20 contents. I didn’t spend much time focusing on this site, and I’m not much comfortable writing in English. I’m trying my best to overcome all the challenges, and putting some high value for my readers in every single post. Most of my contents received more 500+ social share, 20 to comments on average and a lot of thank you emails. I managed to partner up with companies like Payoneer and WebHostingHub who offers exclusive deals for Marketever readers. Some of the partnerships are still on discussion. Me and my blog got featured on dozens of media like FoxNews, Entrepreneur.com. That’s a great achievement for me. Also, I managed to get some testimonials about my site, and resources about niche site builders and online marketers I have been following for a long. Overall, it’s not a bad achievement for a 6-month old blog. All I was able to do within 1 year; the credit goes to my team. I have a small remote and local team helping me with content, design and link building every day. They are super motivated, productive, skilled, dedicated and talented. If you ask me what’s my biggest achievement last year, I would answer, being able to build my team. I can go far with the help of my awesome team members. A Personal Achievement – Just Graduated! 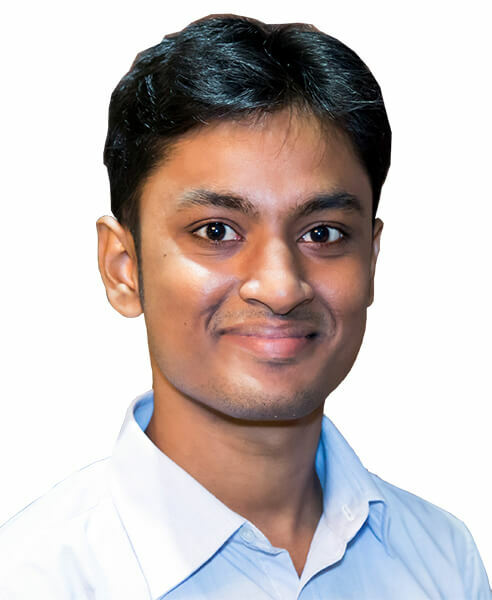 I’m from a small countryside of Jessore (a border-side district of Bangladesh, home of Michael Madhusudan Datta, a 9th-century Bengali poet and dramatist), but currently living in Dhaka, the capital city of the country. I came here in 2009, mainly to complete my graduation. I got myself admitted to the university, and continued to work on a professional life, simultaneously. It was a tough journey, but I managed to do it anyway. It wasn’t ALL SUCCESS in the Past Year! Failed to build multiple income streams. I’m almost solely dependent on Amazon niche site income. 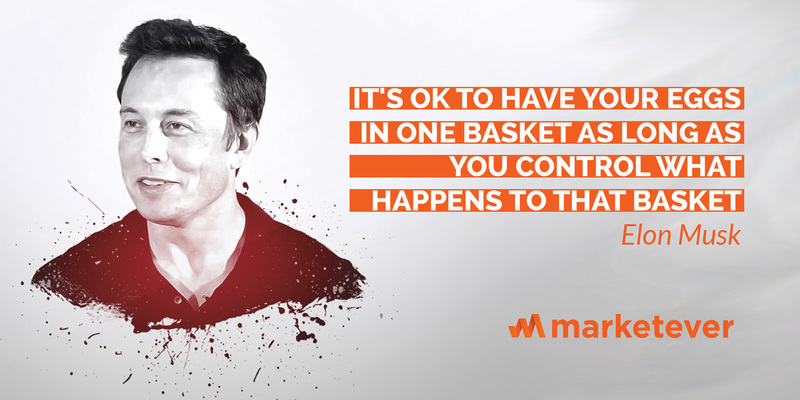 I’m a big fan of this Elon Musk quote, my basket (for niche site business, it’s Google) is not in my control. Enough for me to be worried. Not being able to manage multiple niche sites. I created more than 30 sites last year, but a few of them are making money. Some projects failed only because I didn’t care to work on those projects timely. No content plan, no proper link building. Getting around 30 thousand page views per month on Marketever.com blog, but still trying to figure out how to monetize the traffic. Only 2000 email subscribers so far, but not being able to monetize them. Did only 1 email campaign for long tail pro and made a little over $500 (also made around $150 from ThriveThemes, and another $100 from ClickBank). No auto-responder email, no relationship building with the audience, nothing. When it comes to outreach, I’m still in fear. Being a non-native English speaker, and with little command of English, I don’t have much confidence to build a relationship with influencers, fellow marketers, and bloggers. Hired a developer to build a WordPress plugin (to increase Amazon niche site conversion rate, here is how to use), but never promoted the plugin. Only 80 installs so far. Status – Failed. Yes, I made 5 figure average per month, but that’s not passive income. I’m still working 10 to 12 hours a day. Status – Failed. Met one of my body builder friends a couple of times to start (he is also used to be a personal trainer), but never showed up at his gym again when I’m supposed to. Making a consistent ‘Passive income’ stream, I don’t want to work 10 to 12 hours a day anymore this year. I’m almost entirely dependent on Amazon niche site (for traffic, depended on Google). It’s time to multiply the income source. I don’t want to be broke again for Google to update algorithm or if anything bad happens with Amazon affiliate program. Trust me with this, I had my share of struggles, not anymore! I have more than enough niche sites in my portfolio now to grow them further. A couple of them has promising potential to develop as 5 figure/ month money making websites. I’m planning to develop 1 travel blog, a fitness blog, and a general review website (I haven’t finalized the sites, I can later change the niche). In the meantime, I will scale up my all of my small niche sites, and selling them (most of them, or all may be? ), and I will be more focusing on 3/4 authority style websites for long term passive income from Amazon and other affiliate programs. Yes, these two will remain on the New Year resolution list too. I will start working with my fitness goal, and will try to travel as much as I can. As I wind up on my journey from broke to making 6 figure in the past year, I want to make it evident that; if I did it, anyone could do it too. All you have to do is lay down your plans, put up ambitious objectives and be ready to work hard and tirelessly. Remember, nothing good comes the easy way. I’m thankful to fellow bloggers, and marketers for helping me in various stages, especially Thomas Smale, Spencer Haws, Stuart Walker, Kent Chow, Doug Cunnington, Justin Cooke, Josh Shogren, Dom Wells, Jon Haver and so many of you. 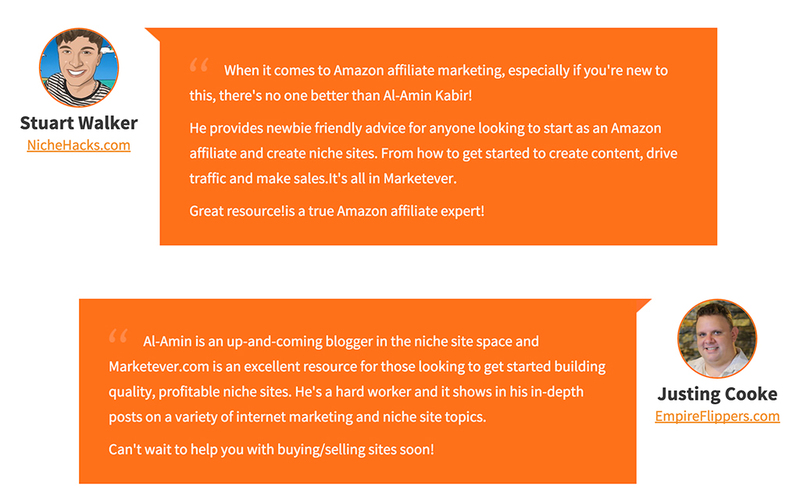 I’m thankful to the community members of ‘Amazon Affiliate Bangladesh’, readers of Marketever.com for leaving such amazing comments, beautiful emails and Facebook messages. As I plan to grow Marketever into a multimillion business, I know what waits for me ahead. And that is more work, more challenges and, of course, more sacrifices of my time. My focus this year is to achieve my goals no matter how challenging they get. I have learned to focus on quality and not quantity, and this way Marketever can genuinely grow into something big and great. SiteGround Reviews – Honest Review with Uptime & Performance Data! Couldn’t stop reading each and every single word of this post until I reached the bottom. I have gone through the journey of a brother that made me happy and would love to hear such story, again and again, each year. Thanks for the heads up, Mridul! Best of Luck for Next Achievements. Al-Amin Kabir bro, you nailed it! I read the whole article twice and finally realize that, you have achieved all the major goals that you planned for 2015 (Making Money mainly 😉 ) but yeah, you failed to reach some goals and I think that’s not major failure as you also wrote that, you “Successfully” failed and it make sense that you learned a lot from the failures. Best of luck for this year. Great in-depth article by the way. Thanks for the heads up, Syed! You had a great year man. Wish you the best for new year 2016. Always set realistic targets and take care of your health when you work on computers for long hours. Thanks Saifur. Check our my keyword research guideline. Outdoor products convert best for me, you can try. Great read my friend and goes to show hard work pays off. In the process myself of building some niche sites and reading your blog inspires me to be successful. I’ll be reading your blog in the future. Thanks Steve, you can subscribe my newsletter to get notification when a publish new content. Great story mate, i visited this site of yours http://azonrockstar.com/, do you have such training in English? Thanks for visiting. Unfortunately, I don’t have any English version of Azon Rockstar. Tomorrow is my BCS exam. But I have a passion for this online earning. Really bro you have done a great job. I am coming on your way! Best wishes for your 2016 and forever. Thanks for the wish, Jobaer! Thanks for the heads-up, Foysal! Today I first visit on your website by help of Facebook, I saw your status on one group, that’s why I visit here.. Here I saw some of amazing stuff.. Which is lot motivational and information.. Thanks for this great share..
I’m glad that you found the post motivational. Congratulation brother for your brilliant success. Hope this year will be a golden year for you! Your training seems to be in Bangladesh language. As I am an Indian citizen and knows only Hindi or English, how can I join your course? 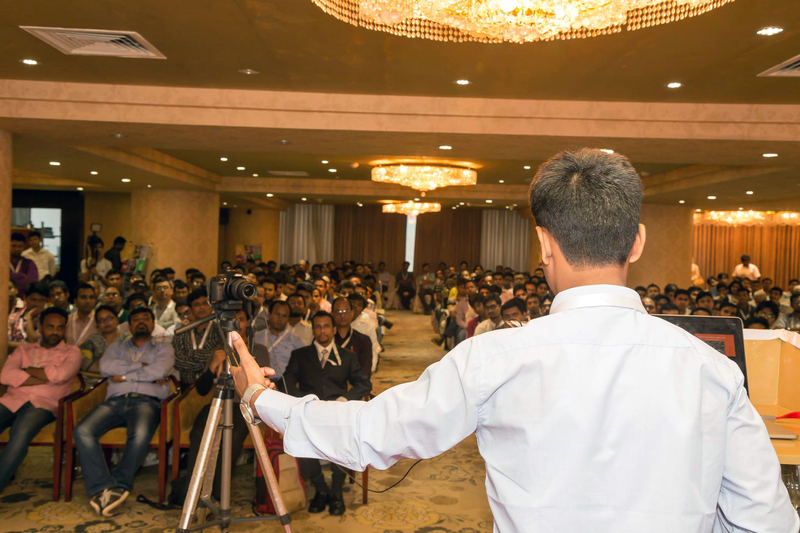 The course is designed for Bangladeshi audience. Thanks for the comment, Abdul! You were broke? I am not surprised because it happens to every entrepreneur sometimes. Your come back journey is remarkable. You said 80% of your earnings are relied on Amazon. Which I am a bit worried about. You should find a way to diversify your income. Because if only one of amazon or google goes mad, you will lose your income. Just saying. Exactly, Tamal, I’m a bit worried! I’m planning to diversify my basket in 2 ways. 2. I will move some focus on service, I have a huge number of audiences want me to build a niche site for them, and I think I should move this way. Let’s see how it goes in the new year. Awesome Journey so far Kabir sir! Really, I am inspired bro. And you are my guru of Affiliate marketing. I just started and long way to go. Best of luck and Wishing you a great 2016! Thanks for the heads-up, Ashraful! This is a great share. It’s a n inspirational story to show to anyone who has found their place that they can make it. A major take-away from your post is something I shared in a recent post on my own blog. FOCUS is the key. I think nowadays, to really make it, one has to “burn their boat”. There are people who succeed in business while having safety nets, granted, but they’re getting fewer and fewer. I look forward to hearing and sharing more and more of your success stories. You have just proved that a hard worker and a true dreamer meets the aim finally. It will encourage me to work over and over when I get tired. Incredible bro!! Yes, hard working pays off. Read the whole story (post). It’s really inspiring. I know how it feels when you got hit by Google animal. I had the same experience with Google Panda back in 2014. It took more than 6 months to recover the traffic. Diversifying the income is very important. Thanks for reminding this. Like you, most of my earnings come from Affiliate Marketing. Have to find some ways to diversify the income. However, I’ve been following Marketever for last few months. You are doing GREAT here. I am learning a lot about Amazon Affiliate Marketing. BTW, I’ve published a post about affiliate marketing (http://roadtoblogging.com/monetize-blog-with-affiliate-marketing/) on my blog. You may find it interesting. You got some fantastic resources, Istiak! I’ve been a fan of your blog & the great advice you offer for a few months. Good luck to you. You deserve your success. All the best for 2016. First of all thank you for describing you new year resolutions in detail, and with out mockery. I did not able to finish any blog that is this much long, but i could not leave without finishing your blog. I’m glad that you found this article inspirational. Setup a resolution for yourself, and go work for it! Would love to see even more inspirational post from you! Dear vay, I can not make out “earning report october 1,2015 to october 31, 2015” ? How does it refer yearly income ? I will grateful to know your wise answer. Please check the post carefully. You are referring to only one screenshot, there are some other screenshots too. Check them out. I’m afraid you didn’t read the whole content before commenting. I clarified everything. It is a great venture. In a word, wonderful and imitative. I have just started two Amazon niche sites, your motivation and guidelines will ensure creating my pace. Best of luck, and wish you a great year. Wishing you a very good luck, don’t forget to ask If I can be of any use. That was a great post indeed – but can you clarify for those who are not too familiar with Amazon affiliate accounts, if your income only comes from the Amazon USA or is there an International Amazon affiliate account which you have yourself? The Affiliate accounts system seem a bit confusing to me since some people say “the Affiliates would require to have a separate account for each country they want to sell to”! Is it true? Can you elaborate on this please, if you may? Hi Sam, if you want to promote products from Amazon.com, an affiliate accounts with Amazon.com is ok. But you can’t promote products from Amazon.co.uk using the same affiliate account. You need to create a new affilaite account with Amazon.co.uk too. wow, what an incredible journey. I can easily related to you and that hardships you have faced till today. Really glad to see you come so long. My takeaway… FOCUS. I’m glad our neighbours are so tech-savvy. I can’t name even a single Indian marketer guy. No need to explain that you’ve given a lot of inspiration to us. 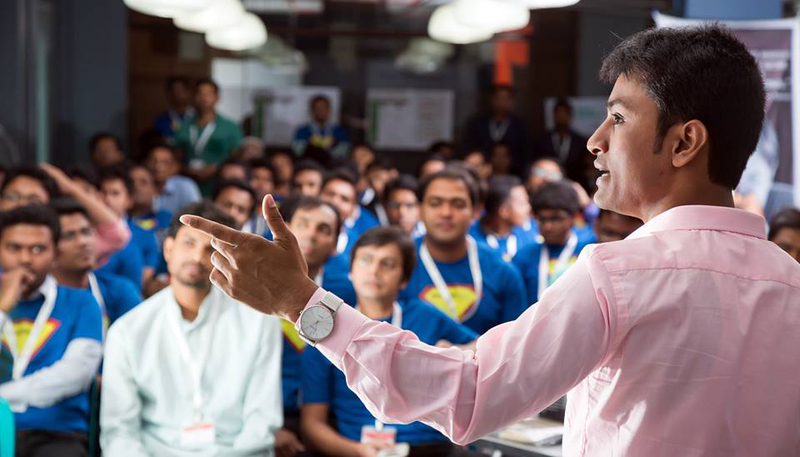 But one thing I’d like to know- is there any one behind of you, who inspired you most. If so, who is the power make you succeed…? Thank you for describing you new year resolution in detail. 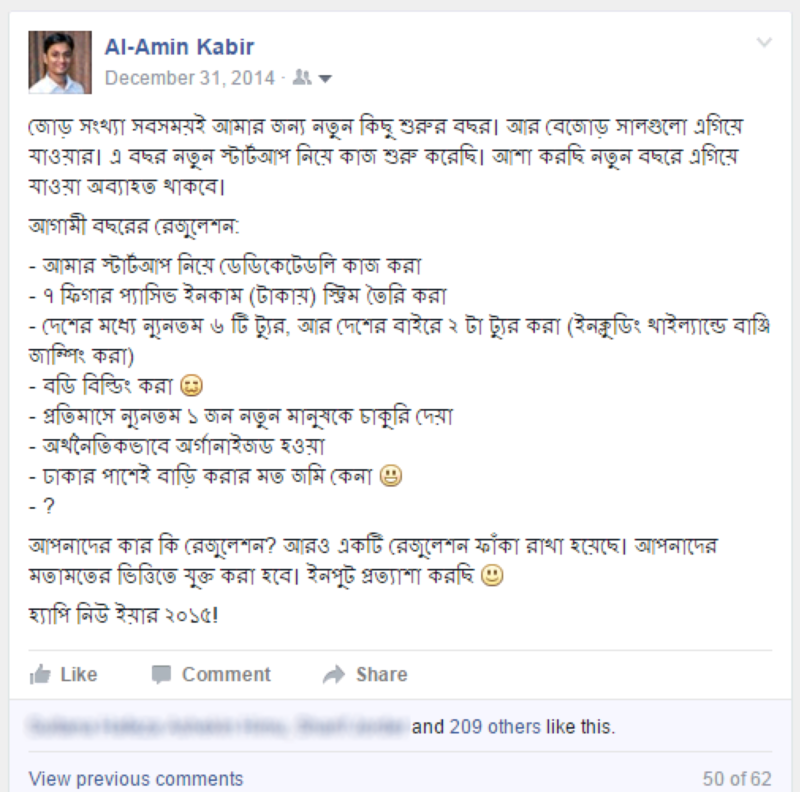 Congratulation Al-Amin Vai, I will publish my first site within march 2016, In sha Allah, I also, not also but 100% inspired to see your conversation to make me as affiliate marketer, so now I am walking back of you and always followed you for my milestone, actually I am an unknown person for but I follow you, so I hope that, you will help me to achieve my goal. Try for the next achievement and share with us for our improvement. You are a motivation and thanks for the super info here. Great article! Very inspiring and just what I needed. Do you usually go fo a shared hosting service when you start a new Amazon niche site? They are kinda slow and I’ve heard it kills ranking. Regards and Congratulations on your earnings! This is so inspiring. I would be spending the next hour combing through the valuable resources on this blog. What a cool story and thanks for sharing it. Good for you for taking the risks and doing the work. What is your benefit from marketever.com? as you didn’t add any adsence account or advertisement. Thanks, this one is so much inspirational post indeed. I think you are great as you doing continuously in a steady mood…carry on for you and as well as for the people of Bangladesh…. WoW its a inspiring post. thanks for sharing it. learnt lots of thing from your experience. Destination is same for these two anchors. Such an awesome story and so inspiring! Proof that hard work and dedication can really pay off. For anybody doubting the validity of the Amazon Affiliate program in 2016 – this should squash their doubts. I started doing really well on my own sites, but I went down a different path and released my own custom theme that I had built and used myself (Ultimate Azon Theme), so now my days are spent working on that and supporting it, instead of my own Amazon Affiliate sites. Looking forward to the day I can go full time and build back up my own portfolio of Amazon affiliate sites. Thanks SO much for sharing your story Al-Amin! I’m sure you will inspire a LOT of people with this. Awesome post! Congratulations on your success! I however woul dhave been much happier to understand how you started your business marketing and getting traffic to your site to such a large extent in just 3 months!? I think as an Entrepreneur, every businessman faces this horrendous question – How do I start marketing and getting more and more customers without any investment? I suppose you also did not have much when you started off, but it would be nice to know how you achieved the numbers? I would appreciate your comment! I also just started my Amazon affiliate site…it’s doing ok ($50/month). Would you suggest at this stage to make more Amazon site or just focus on my first site until it hits a certain monthly goal (ex: $500/month)? Thanks for the comment, and congrats for the success you got so far. I would suggest not to start new sites, you better focus on existing one. Publish more long tail keyword contents, and build some solid backlinks. I am inspired by your successful failure. I once started an Amazon niche site, made $15 in the first 2 weeks then nothing else for the whole year. I gave it up, but I am now looking to start building an authority site. I’d like to follow you for motivation. Don’t hesitate to contact me if you need any help. This is so amazing and after 2 years i got inspiration to write again on my affiliate project. Thanks for sharing your timeline. Your story motivates me very muhch. To be honest, I had read it a lot of times..actually, whenever I feel low and demotivated, I give it a quick read. It gives me the motivation and energy to get back to work. I can read this story 100 times and still not get bored.. Hats off to you.. Your Character, Composure, Focus and courage, has earned you this success and glory. Congratulations and let the spirit never fade away. One of the most inspiring articles I ever read in the world of Blogging. Thanks for sharing your story. You’re a great guy. No doubt you’ll reach your goal someday I can see that. Just continue to write amazing contents to help bloggers like me who need inspirations like you. Best of luck Al Amin! Very inspiring, honest and revealing story! Your story shows how important it is to have focus. Really, your story has inspired me a lot.. I could not stop reading in between. Being in this young age your struggle and your effort has given lot of motivation. I here by wish you all the success in your future journey of life. The human life is like that, some incidents totally change our way of life style. In my life, I think reading your blog is a turning point. Any way I cannot forget the person who introduced me to marketever.com, that is namely my dear friend Kutubuddin SK. Once again thank you very much for writing an interesting inspirational blog. I have read a lot of beautiful writing But, It is one of the most tremendous writing which I never read before. Fortunately my goals is similar to you. Not just the goal. BBA as you have, I do. You were a journalist, me too. In online career, I like you. But not associated with any team, I am alone. But I am trying like you. Your Azon Rockstar course give me a dream. For Azon Rockstar course my dream is going to be come true. Not only your course but also your co-operate is impeccable. Long live Brother. And a lot of blessings and love for you. you are always inspiring for me. When I am fed up with my life, still I am. I look at you. then I organize my plan. Still, i have the plan to build a niche site, but could not sum up, where to start. wanted to grab last black-Friday offer, to join MarketOver by buying a niche site. but could not that time. Always wish your all the best success. I am really happy that i found your website what i am searching for a long time ! All the best buddy for your future keep it up. you really work great. Great Journey Al-Amin Kabir. Proud of you. I’m inspired. I start to read and couldn’t able to stop my till the last word! Really inspiring! Wish your all success for coming days. Maybe it was really targeted year for you to achieve the goal. Best wish for your in the next time. Very inspiring story! It is an absolutely incredible feeling when everything comes together and things just start to ‘click’. Part of the success comes from incredibly hard work, and a little bit of luck. You sir definitely put in the work! I am hoping my Internet journey will be as successful as yours has been! Thanks for writing such a great inspiring content. You wrote about google penguin, what was the reason Google penalized your website? Thats a great motivational speech. I think one can learn a lot and get inspired by reading this article. But one thing that comes in my mind, does niche sites still works in 2018? I am inspired by you a lot and now became a big fan of you. Your story really a full package of motivation for an upcoming blogger like me who don’t take blogging seriously but from now I will do more hard work than before.